Whole Farm Plans is an exciting innovative project that shows farmers how conservation of wildlife and cultural heritage can be incorporated into the overall farm business. 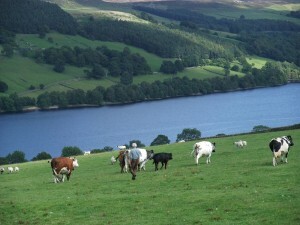 The project was developed through discussions with Nidderdale farmers to integrate wildlife farming into the farm business, through identifying the long term optimum land use for parts of the farm. The project provides tailored advice and training in farm business development and environmental planning. This approach identifies how conservation measures fit best into the overall farm business, so ensuring that farmers continue these measures in the long term so that habitats and species are conserved into the future. This project has helped farmers with issues including planning for retirement, using new technologies like renewable energy, or setting up a new business enterprise on the farm. It also helps with any agri-environment scheme issues, identify measures needed to meet cross compliance requirements under the new Basic Payment Scheme and improve farmers’ chances of securing competitive funding through the new Countryside Stewardship scheme. As part of a wider Dales and Moors Farm Innovation project, whereby 50 Whole Farm Plans have been completed across the Yorkshire Dales, Howardian Hills and North Yorkshire Moors, we in Upper Nidderdale have completed 12 Whole Farm Plans in 2015. If you as a farmer are interested in finding out more about this project please contact the Farming and Wildlife Project officer.